Interwoven with Sarah’s adventure is the present-day story of Eden, a modern woman desperate to conceive a child with her husband, who moves to an old house in the suburbs of Washington, D.C. and discovers a porcelain head hidden in the root cellar—the remains of an Underground Railroad doll with an extraordinary past of secret messages, danger and deliverance. Sarah and Eden’s connection bridges the past and present, forcing each of them to define courage, family, love, and legacy in a new way. 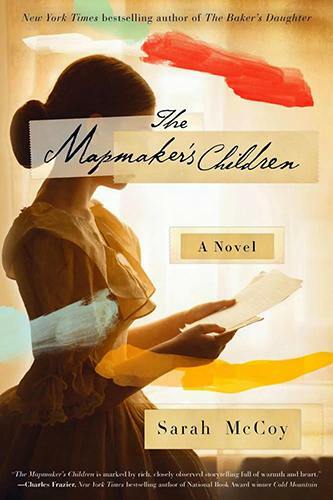 The Mapmaker’s Children is dramatic, intriguing, and full of emotion! Sarah McCoy skillfully weaves fact and fiction together in this dual time-period narrative. I love historical fiction, so I really enjoyed the history of Sarah Brown and her family and their work with the Underground Railroad. While the historical story line was my favorite, I also enjoyed the contemporary story line and the threads that tied the past and present together. I really enjoyed this compelling story and look forward to reading more from this talented author! SARAH McCOY is the author of the New York Times, USA Today, and international bestseller The Baker’s Daughter, a 2012 Goodreads Choice Award Best Historical Fiction nominee. Her first novel is The Time It Snowed in Puerto Rico. 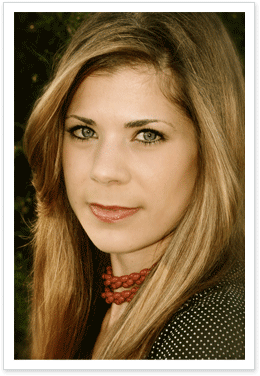 To learn more about Sarah and her books, please visit her website.